News emerged in the week that Eddie Jones had asked Tony Spreadbury, the RFU’s head of referees, to close the distance between Premiership and International games in the way that they are adjudicated. It seems that Jones’ influence on the Premiership isn’t limited to the officiating. Mike Brown, a traditional fullback whose inclusion for England on the wing was met with nationwide disdain, found himself wearing the 11 shirt in Harlequins’ season opener, presumably under Jones’ instruction. Jones, whose defence coach Paul Gustard left the national set-up to coach Harlequins in June, has previously spoken of his frustrations around England’s inability to impact club selection. Jones will hope this is a sign of changing times with a huge season ahead for the national team in the lead up to a World Cup. Brown playing out of position didn’t seem to harm Quins too greatly, though, as they put 51 points past Sale in a convincing opening day victory. Though their 5th placed finish felt worryingly underwhelming, Leicester Tigers didn’t seem to be too far off the league leaders last season. 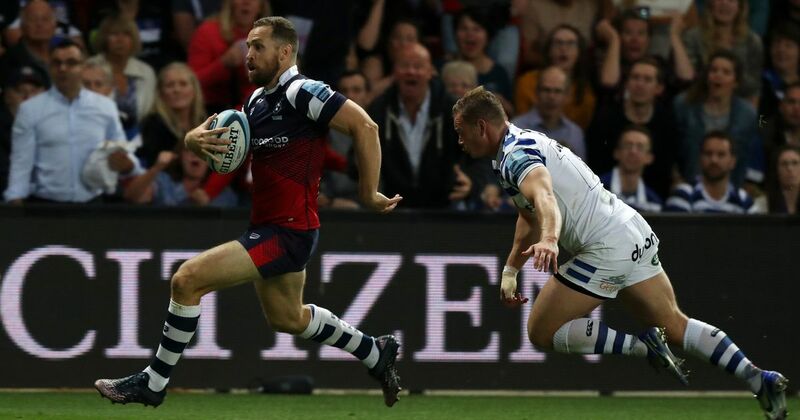 With some shrewd recruitment and the knowledge that their side weren’t too far away with competing on the highest stage last campaign, already hefty expectations were sky-high around Welford Road before the start of 2018/19. But these hopes have already been dashed. With a team featuring Matt Toomua, George Ford and Dan Cole (among others), Leicester were well and truly dominated by Exeter. Bristol were impressive in their victory over Bath on Friday night, but they may have to look over their shoulder at times this season, as Worcester took star-studded Wasps to the final kick of the game. Wasps first tasted the lead in the 68th minute, and had Duncan Weir not missed a drop goal when the clock was dead, his side would’ve been on the right side of the eventual 21-20 scoreline. Their two main rivals for relegation both won – Harlequins and Bristol – but Alan Solomons would’ve been encouraged by Worcester’s performance, but equally aware of the need to pick up points over the coming weeks to prevent daylight opening up between Warriors and Bristol. With only four new recruits and thus a settled squad, many thought Sale would cash in at the start of the season while their opponents adjusted to new players and new combinations. But in losing 51-21, Sale were thoroughly outplayed by a side who hugely underperformed last season, and were thought to be a work in progress under Paul Gustard. Unforced errors were a theme of the afternoon for Sale, as they gave the ball away 17 times to Quins’ 6. With Chris Ashton and Faf de Klerk set to return in October, it could be a long few weeks for Sale, with a trip to Exeter and a home game against Wasps approaching. Despite losing 27-16 to playoff hopefuls Gloucester, Northampton’s display was full of encouraging signs. Chris Boyd, in his first game since leaving the Hurricanes, has overseen a change in playing style which saw Northampton produce 10 offloads to Gloucester’s 2, 11 clean breaks to the Cherry and Whites’ 5, while almost doubling their opponents’ metres made tally despite sharing 50% of the possession. Perhaps the disappointing result is a sign that Super Rugby tactics aren’t necessarily interchangeable with those in use on the other side of the world. Nevertheless, it was an invigorating performance from Northampton, and they’ll improve over time as they adapt to Boyd’s game plan. Gloucester, on the other hand, were ruthless in attack and stealthy in defence – ominous signs for the rest of the league, especially given the Cherry and Whites were without a number of their big name summer signings.